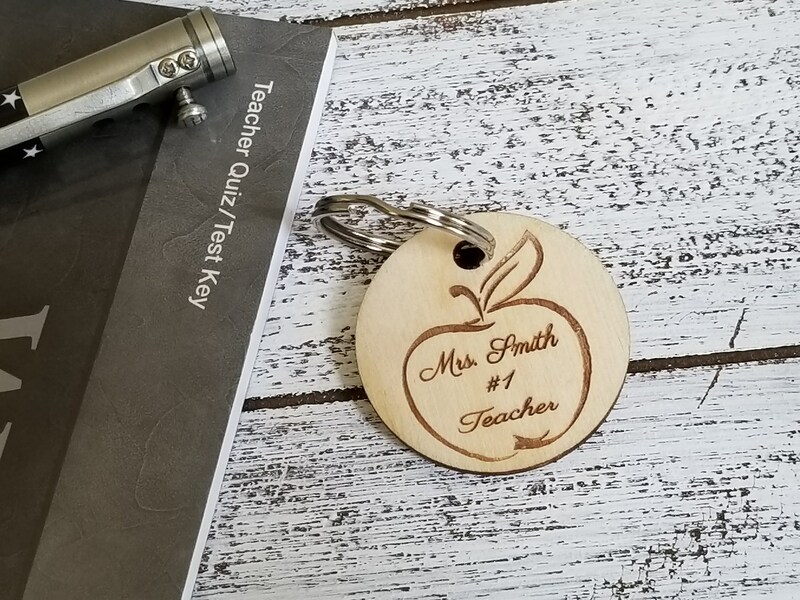 Impress your teacher, professor, coach with this special custom cut and engraved key fob. It can be used as a name tag, key fob, zipper pull, on the gym bag, travel suitcase, keys, briefcase, etc. QTY: 1 Key Chain 1.5 inch diameter engraved as per your request. Each key fob will be beautifully wrapped!